Saks Fifth Avenue offers up to $250 off sitewide sale, via coupon code BLOSSOM19 . Plus, Dealmoon Exclusive! 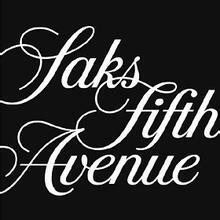 Saks Fifth Avenue offers a free tote bag with dozens of samples with $150+beauty or fragrance purchase. Receive green tote via coupon code BAG2ASF , receive blue tote via coupon code BAG2BSF , receive red tote via coupon code BAG2CSF . Plus, get dozens of online-only special offers from your favorite brands. La Prairie Skin Caviar Luxe Cream • Sheer/1.7 oz. Valmont Prime Renewing Pack-Mask/1.7 oz. SK-II Facial Treatment Essence/7.7 oz. Cle de Peau Beaute Concentrated Brightening Serum ? 1.3 oz. ReVive Moisturizing Renewal Cream Retexturizing Hydrator/1.7 oz. Giorgio Armani Power Fabric Foundation - 1.01 oz. S'well Hunting Green Reusable Water Bottle, 17 oz. The Laundress Denim Wash Detergent/16 oz.